The first suggestion we make is to read what we said last year about the month of Sivan. What will be said this year will build on what we said last year. Below is the link to last year's Blog about Sivan. Please press your back button to return to this location after you read last year's Blog. Here is a link to the Blog about Sivan from last year. The essence of this month is balance. Balance is achieved by making the concept of sharing more important than receiving. Sivan uses quickness to achieve balance yet it is not always useful in creating balance. Sometimes balance needs to be created through contemplation. The Torah was given during Sivan as a tool to create balance. The Torah was given quickly. Then the essence of the Torah was lost quickly due to the Sin of the Golden Calf. During Sivan constantly search for balance in all things that one does. The months of the Hebrew year are connected to the Tetragrammaton. The Kabbalists teach that Nissan, Iyar, and Sivan are connected to the Yood. Therefore, all 3 months are dealing with the frame of mental energy. Another Kabbalist teaches that these three months are connected to the 3 Patriarchs this way: Nissan is connected to Abraham who is the chariot for Loving Kindness or Chesed. The Redemption from Egypt is an act of Chesed. Iyar is connected to Isaac through his being a chariot for Gevurah. Gevurah is needed to perform the healing work of Iyar. Sivan is connected to Jacob and Tiferet. Tiferet represents the beauty and balance. Jacob is a twin to Esau. 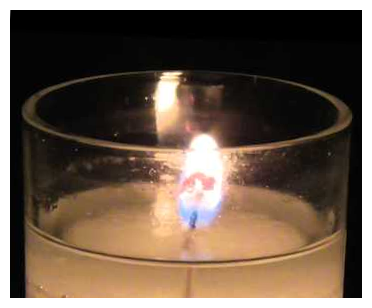 The energy of Sivan is a perfect synthesis of Chesed and Gevurah. This is why the Three Books of the Torah (5 Books of Moshe, The Prophets, and The Writings) was given in the month of Sivan, the third month since three also connects to Tiferet a balance of Chesed and Gevurah. We are leaving the contemplative (although difficult) energy of Iyar for the reception of the Torah and the quickness of Sivan. Or is that quirkiness? 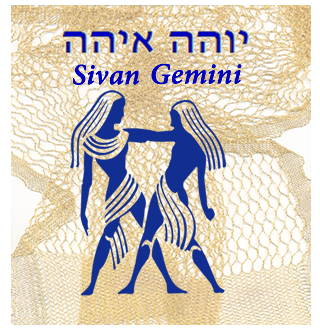 Sivan is usually thought of as quick since the Astrological sign connected to Sivan is Gemini and Geminis are thought of as Quick. They are also thought of as relating to the adage, "I have knowledge of all things yet I am a master of none." The description of quick from the teachings of the Kabbalah Center speaks directly to the essence of the month of Sivan. “Quick” is the word that comes up most often when thinking about Gemini—quick to judge, quick to react, and quick to change. Quick as in clever and lively, but also quick as in momentary, superficial and passing. In this little word, all the strengths and weaknesses of the month/sign begin to emerge. We all will feel each of these unique descriptions in our lives during the month. In fact, the tool that we will NEED to exercise in Sivan is "Binding by Striking" (see more below). This is because things will come at us so quickly that we think we have no time to stop our reactions and we find that we are constantly creating chaos because we do not stop our reactions. This is the primary tool that we need to use during Sivan in order to balance the Twins of Gemini (which are the Astrological Sign in the month). The tool we call "Binding by Striking" is a lifetime learning process. It relates to the consciousness we have when we actually do any action. Our reactive consciousness is always selfish. By stopping that reaction and changing our motivation or our consciousness of why we do what we do, we cause that action to become positive. The action can be the same as what our reaction was going to be. Yet our consciousness is very different. This is a short description of "Binding by Striking." It is best to listen to the recordings for Class 5 and 6 of the basic course available on the Yeshshem.com website under the "Revealed Wisdom" link. These recordings are free of charge. Another tool to help us understand the energy of the month of Sivan is its gematria. The gematria of Sivan is 126. Other words that have this same gematria are horse = סוס and the 35th of the 72 Names of God כוק and the 63rd Name of the 72 Names of God ענו. The 63rd Name has the meaning of the Hebrew word for Humble or lowly, poor, and afflicted. Sometimes it is used to express the idea of oppressed. The 35th Name has the meaning of sexual and creative energy. We can understand from this the idea of why the Torah was given but not received in Sivan. The Children of Israel said they would do and then would understand. Something can only be received after one does understand. That is one reason why the action of Mt Sinai is described as the gift of the Torah and not the reception of the Torah, in my opinion. 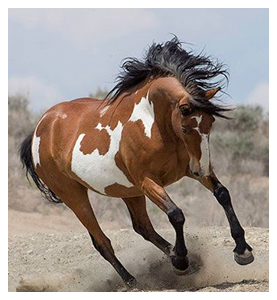 The energy of the horse is best described in the phrases from the Torah "Mounting or Breaking a Horse." This is reminding us that Sivan must be controlled like we control a horse by first breaking it so that it will accept the mounting of any rider not just a specific rider. Name: Sivan סיון . . The meaning of Sivan deals with the concept of "muddy." Mud is a mixture of opposites. The duality of earth and water creates mud. Sivan is the mixture of opposites. This is the idea of the Astrological sign of Gemini - The Twins as well. The Tikune has to do with unifying opposites. All of this comes from the Name Sivan. Let us truly understand the concept of mud. People who live in areas of winter snow which turns into spring rains truly know the concept of mud season. It is messy; it is unclear; it is truly muddy. Yet at the same time it is through this mess of a season that things germinate. The growing season comes from the muddy season. All of the above relates to the duality of the twins. This is the month of Sivan. Sivan is the month that represents the doorway to summer. Sivan is the balance month of bursting forth into Freedom like Nissan and the intellectual aspect of "just being" which is the energy of Iyar. Attribute: Attraction משיכה - Mashicah The Hebrew concept of attraction has an essence of duality. In the western world Attraction implies coming together. The Hebrew word Mashicah deals with "being pulled along." This aspect of being pulled implies duality. One is being pulled while the other is pulling. The Torah also has this aspect of duality since the Torah does not have only one interpretation. There are many understandings to the Torah some of these are polar opposites as well. This is why the Torah is given in Sivan the month of mud which makes it difficult to see clearly. The energy of Sivan is what makes it difficult to know just one path of the Torah. Sivan lets us realize the many facets of Torah as multiple truths not just one. Ancient Tribal Connection: Shimon - שמעון Shimon is the Tribe that connects to Harsh Judgment. This comes from the idea expressed in the letters of his Name which is "Motion is my Name." This hints at reaction rather than pro action. When Levi and Shimon come together the world can be destroyed. We must think before we act yet Shimon does not do that. The Nasi of the Tribe of Shimon was killed by Pinchas who also did not think - Pinchas just did what was considered RIGHT. Usually human beings do what becomes wrong when they react. Modern Tribal Connection: Zevulan - זבולן Zevulan has a special relationship to his brother Issachar from the Month of Iyar. Zevulan was a good merchant who supported his brother physically while Issachar studied Torah and shared that spiritual energy with Zevulan. Yet Zevulan also studied Torah himself, just not as much as his brother. This is more of the twin energy of Sivan. Tribal Totem: Urim V'Tuvim אורים ותמים Until the 20th Century people were generally unable to understand the Urim and Tuvim. It was only those people called Kabbalists who had access to a spiritual guide and who needed to understand this tool who could use it properly. The Cohen was the only one who used it. He asked a question that related to the Children of Israel generally and the lights on the stones would light up in a particular order which only the High Priest could decode. The translation of Urim is "Sea of Light" implying a pool of wisdom. The translation of Vetumim would be and a Sea of Completion. One part represented Wisdom or Chochmah and one part represented Malchut or manifestation. When the Light of Wisdom manifests in the physical world by unifying together you and every human being will get the answers to all questions that are asked about humanity. 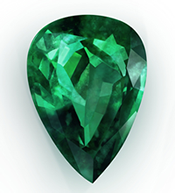 Tribal Stone: Emerald ברקת BoRecket. Emeralds have the quality to refract divine light. The light of an emerald helps to melt down what is stoic just as the Levite singing in the Temple helped to elevate the joy in the hearts of the people who brought their sacrifices to atone for the mistakes they made. Tribal Herb: Galbonah חלבונה . Galbonah translates as "applied understanding" or "applied whiteness" which relates to "applied purity." The energy of this herb is to move us out of stuck places and moving towards taking positive action. House: Fellowship בית האחים Bait HaAchim. Fellowship relates to attraction. This is the attraction that relates to the essence of the month of Sivan. Fellowship needs to come from the essence of souls not from being talked into being together. 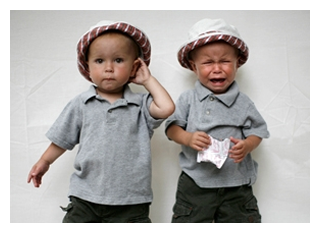 Zodiac Sign: = Tuomim - Twins תאומים. See below for information about the Zodiac sign of Tuomim. 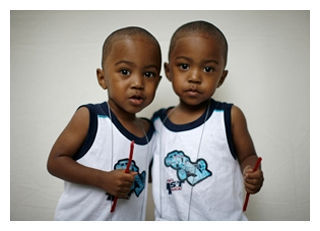 One hint is to realize that the twin can see the same thing from two different perspectives. Tribal Flag: Image of an Oracle on a background of white, black and red. Tribal Direction: Central אמצעי Strengthen - How does strength and Centrality go together. Levites by working in the Temple showed their love of the people while at the same time showed their zealousness through members of the Tribe like Pinchas, Nadav and Avihu. Here are the Letters of the Month and the Tetragrammaton Permutation for the Month of Sivan. The Tetragrammaton permutation comes from the first letters of four words in Exodus Chapter 26 Verses 19 and 20. Here are the four words: ידתיו ולצלע המשכן השנית . The word for word translation is "tenon," "side," "Mishkan -Tabernacle," "second." This permutation crosses the border of two verses which leads to a hint about the Twins and the essence of Sivan (see below). Now, let's look at the permutation of the Tetragrammaton for the month of Sivan and what we can learn. The Tetragrammaton is normally spelled יהוה. When the Yood is in the first position the first position is normally considered the World of Atzilut (Emanation). The second position normally has a Hey and is considered the world of Brea (Creation). The third position normally has a Vav and is considered the World of Yetzirah (Formation). The fourth position normally has a Hey and is considered the world of Assiya (Action or Manifestation). The word that is the Tetragrammaton is actually the Hebrew verb "to be" in a conjugated form. The Yood at the beginning of a Hebrew verb indicates action. Therefore, the Name of God translates to English as "Active Being." The ultimate essence of "Active Being" is transcendent power of love and compassion without regard to people's merit. This permutation for the month of Nissan puts the Name of God in its normal, proper, and optimal placement to provide for the maximum flow of the Beneficence of HaShem. In essence the Yood, in the World of Atzilut, allows for a concentrated point of connection to the World of Ain Sof or Endless World. The upper Hey in Beria expands to support actual Birthing and Creation. The Vav then channels this energy of Creation into the final Hey in the World of Malchut which is Manifestation. When we look at the permutation for Sivan the middle two letters are reversed in comparison to the regular order of the Tetragrammaton. The Hey in the world of Yetzirah indicates an expansion of emotions while the Vav in the world of Beria indicates a direct channel for the energy of Atzilut. In other words Sivan will be a month that has a greater flow of emotional energy manifesting in our world. Remember emotions tend to be either Love related or Anger/Hate related. Does this hint to you the idea of Twins? Remember the Adage, "In the circle of life love and hate are right next to each other." The letter Zion is also a word. As a word it is usually thought of as a synonym for Jerusalem. Yet there are no synonyms in Hebrew. Zion represents the upper Jerusalem. That place where HaShem has vowed (according to the Midrashim) to not enter until the Temple is revealed. Zion is the location in the World of Yetzirah where all of the flow of metaphysical energy that will come into our universe is gathered and readied. It is the location that can be blocked (Chas V Shalom) as well as the location that can attach directly to our physical world and let the energy flow easily. Again we see the idea of twins. The Reish is also a letter and a word with two different meanings. The full spelling of the Reish can be the word Rosh or Head as well as Resh which means poor. Which word it is depends on the vowels. Yet there are no vowels in the Torah and usually no vowels in modern Hebrew either. So how do we know which meaning is meant? The usual physical explanation is "it will be clear from the context of the words in the sentence." (The spiritual explanation which applies to spiritual tools like the Torah and the Tanach.) All meanings and translations are TRUE. Expand your consciousness to include all of the meanings. That will be easier during Sivan due to the Gemini's quickness and the twins' ability to "see" many different points of view. This essence will also impact each and every one of us. Together the two letters Reish and Zion have a gematria of 207. They also spell the word Raz which means "Secret." In reverse order the word is Zar which means "outsider" or "alien." Other words that have the gematria of 207 are light which is Ohr spelled with an Aleph, "Master of the World" - Adon Olam, Ain Sof - the Endless World, and also Havar which means "to divide." Do you also see the hints in these connections to the "Twins?" The Zion is related to the 40th name of God which is ייז. This Name has the essence of “Speaking Loshon Tov” or "Speaking the Right Words." It is on me since I am HaShem Your Healer. When we “Remove Hatred” and say the “Right Things” we receive the 4 Yoods of Healing which are the 4 Yoods of The Blessing of the Cohenim (Priests) which are the 4 Yoods of Wisdom. This is the Blessed Potential of the month of Sivan. The only Holiday in Sivan is the Biblical Holiday of Shavuot. Shavuot is the revelation of the Light of the Torah. Many people are confused by what happened on Mt Sinai. What does the Revelation of the Light of the Torah truly mean? We must remember that energy never disappears. So if it was revealed in Sivan 3300 years ago it is available to us today in Sivan. It is from this connection and the Zohar that Rabbi Isaac Luria reaches his conclusion that the Light of the Torah that is revealed on Shavuot lasts for a year or at least until Rosh Hashanah. His language in the writings on this subject is unclear so the Kabbalists accept "till Rosh Hashanah" to be conservative. So we must ask two questions: 'What is the Light of the Torah' and 'What happened on Mt Sinai at the revelation of the Light of the Torah?' The Kabbalists teach that the Light of the Torah is the energy of Bilah HaMavet (Hanetzach) which translates as "Swallowing of Death (Forever)." The reason i have put HaNetzach in parentheses is that we built the Golden Calf 39 days later. During this 39 days Death was absent but making plans to return. To understand this complex story we need to have some knowledge of the spiritual system and its relationship to the physical world. Our Sages teach that for some energy to manifest in the physical world takes a spiritual hour. This works out to be 40 days in the physical world. Moshe went back up the Mountain to receive the Luchot (the Tablets of the Esser Debrot). He told the Nation that he would return in 40 days. The negative entity we call the Angel of Death still in existence in the spiritual frame waited until the 39th day and then started showing visions of Moshe's body to the People. He had his groupies instigate a fearful reaction that if Moshe was dead who was going to be the channel for the people between them and God. Of course, this could have been prevented if Moshe had said i will be back on the 17th of Tammuz instead of 40 days. By saying 40 days there was room for human error. Does the count start on the day he left or the day after he left? That is the room for error that the Angel of Death utilized to test the people. As the Kabbalists teach if the People would only have stopped their reactions to the fear of being without Moshe the Golden Calf would have never been built. What does this have to do with Shavuot? The Light of the Torah is the removal of death. That is the energy that returns each Shavuot. As the ARI teaches if we stay up all night studying the Tikkun Leil Shavuot we remove death from our lives until at least Rosh Hashanah. The question to ask yourself is it worth giving up one night of sleep in order to gain 4 months of a chaos free life? Now i am going to suggest to you how the Satan continues to take advantage of those "spaces" we create for him. This writing of the ARI has been around for 500 years. Yet the knowledge of this opportunity has been not well known until recently. As the opportunity has been publicized it has been changed from studying the Tikkun Leil Shavuot to studying Torah. Many Synagogues have Torah study the night of Shavuot. Yet normal Torah Study does not suffice to Remove Death. Where does this improper understanding come from? Simple Human Error or the spiritual cause of human error. In this case, the Angel of Death. Cause is always spiritual and never physical. Human Error is a physical cause. Here is a link to a copy of an English Translation of the Tikkun Leil Shavuot published by Rabbi Chaim Drizin. is available for download at your convenience from the Yeshshem Website. Please note this pdf file takes some thinking and you also need a Tanach in Hebrew to truly study the Tikkun of Shavuot properly. Here is a link to the yeshshem website It has a more clear explanation of the above paragraph. Most people would tell you that the only High Energy Day in Sivan is the Holiday of Shavuot and Rosh Chodesh Sivan. I am of the opinion that there is one other day. That day is the Full Moon Day of Shavuot. On that day the energy of the sun is being totally shared with the moon. The energy of Sivan is the Gift of the Torah as discussed above. On the 15th day of the month this light of the Torah is also available to the physical world as demonstrated by the concept of the full moon. Here is the link to the Tzadikim from Sivan. I suggest you spend some time during this month checking out the attributes of the name Zevulan and the Name of the Nasi who gave the dedication and his consciousness of why he gave what he gave. Remember not all of these attributes are positive and with the tool of "Binding by Striking" we can correct them and transform them into positive aspects. Here are strategies to adopt for this month of Sivan that will help keep you in balance. Yet remember the most effective tool to keep you in balance for Sivan is Binding by Striking. 1. Creativity The Torah is in unity with the Creator. The revelation of the Light of the Torah is a revelation about Creation and Creativity. During Sivan do creative acts. In addition to the normal creative acts of attending plays, concerts, art shows, blogging, try connecting with your personal Magid which is your higher self. Pick a verse or section in the Zohar or the Talmud and use the Hebrew sounds as a Mantra. You will be amazed at the result in your life. This Kabbalistic tool will present you the opportunity for YOU to have a personal experience with the Creator. If you do not read Hebrew we at Yeshshem will provide the transliteration for the verses you request. Just send an email requesting this. If you would like additional information on this technique or help in picking a section to "say" send me an email. 2. Speak to God: Speak frankly to God about yourself, your hopes, your dreams, your goals, and your confusion about life. Most people do not hear the answers but your Higher Self does and eventually you will receive the answers to your questions from your Higher Selves. Rabbi Nachman of Breslov teaches that each person should dedicate a time each day to speak to God. This speaking can even be silence, since during the silence God speaks to our Higher Self about us. 3. Study Torah; Study Zohar: The Kabbalists teach that the inner essence of the Torah is the Zohar. Study of both of these Writings can be done by every human being in the original language. If you do not read Hebrew or Aramaic then just scan the letters. This is considered study of Torah - A Mitzvah and a connection to energy. If you are able to read the Letters you are considered studying Torah - A Mitzvah and a connection to energy. If you can name some of the letters then that is considered Studying Torah - a Mitzvah and a connection to energy. If you want to know what you are studying then after your connection to the original language read the translation in whatever language you wish. This is also considered Torah study - Mitzvah, and a connection to a lower level of energy. 4. 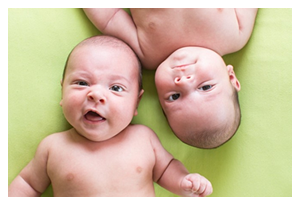 Deepen your Relationship with Loved Ones The science of Hebrew Astrology teaches that the idea of the twins is on two levels. One is your soul and your Higher Self and another is you and your mirrors, which are your family members. Take your wife or husband out on a date. Rekindle what used to be. Add some play time to your children. Not the TV type; the park kind. 5. Take time to "Smell the Roses." This phrase is a metaphor that asks you to take time to connect to the Creator's World, both its beauty and its areas that need improvement and correction. Most of the time people perceive this as enjoying the pleasurable aspects of our world. The twin aspect of this is the parts that are not yet perfect whether they are in the ecology that has been changed by man or the parts of our society that needs improvement. Sivan is the perfect time to realize the duality of Creation and make plans to help correct the aspects that you think need improvement. Of course, the best way to improve the world is to change yourself. When one changes oneself one is actually correcting not only yourself, one is correcting everything that needs correcting. The ecology, other people, wars and conflicts, crime, poverty, illiteracy, and hunger. This is the most important aspect of the meaning of the Twins. There is me in tandem with everything else. That is the meaning of The Twins. When i change myself the everything else must change in tandem with me. This is the most important teaching within Kabbalah. I hope i am making this clear to ourselves. Sivan with its energy of balance is a month to focus on developing relationships with others and with the spiritual elements of ourselves. This is a time to form lasting unions, such as marriages, and is particularly suited to thoughtful reflection on ways to integrate the “twins” of the physical and spiritual worlds that live in all of us. It is a good month to build your relationships as discussed briefly above. In life, we always want the most in the least amount of time. We think that efficiency is the greatest result for the least input of resources. The Gemini takes this to an extreme. By doing things quickly the Gemini seems to be injecting a minimum of resources. Yet this may have to be redone over again and therefore is not the minimum amount of resources. The month of Sivan gives us the unique opportunity to go beyond the surface of the physical world and reveal the deeper spiritual meaning hidden within. The best way to do that is to stop trying to do things fast and take the time to truly enjoy the process of introspection that will ultimately create the change you need to achieve your Tikune. This applies to the correction of the Gemini more than to the correction of others. Yet it does apply to the correction of all of us. It definitely will be part of the astrological influence on all of us during the month of Sivan. If your lunar north node is in the Zodiac sign of Gemini, your Tikune is in Gemini or Teumim in Hebrew. In the words of the Kabbalah Center - If you have a tikune in Gemini, you formerly had the characteristics of a Sagittarius. This means that you behaved like a disorganized and spoiled child, living from hand to mouth, guided mainly by selfish desires. As a Sagittarius, you cared little for the people around you or what they thought. Married, you behaved as though you were single. The satisfaction of your own immediate needs dominated your whole life. Your thirst for knowledge and study led you to discover new horizons, but in the end you remained a prisoner of your own desires. You lived an active life and did whatever you wanted to do, but you could not commit yourself to any cause that was not directly concerned with your own immediate interests. Serving others and taking their needs into consideration seemed to restrict you. Hungry for freedom, ignoring social constraints, you eagerly sought justice, but for yourself alone. You neither cooperated with your fellow human beings nor gave them much credit. But sharing does not restrain your freedom; it enhances it. By opening yourself up to the needs of others in this life, you will overcome the leftover self-absorption that has hindered your spiritual transformation. By communicating openly, you can experience deeper fulfillment than you were able to find in the limited immediate pleasures that you settled for in your previous life, and receive the benefit that the Light wants to share with all of us. To do this, you must learn to conduct yourself with humility and become more respectful toward those around you. Following this path will lead to a transformation of your abilities. Your curiosity will give you access to the surrounding world, but this time through the sharing of knowledge. By doing this, you will find new and more profound meaning in your working life and in your most intimate relationships. You will understand that a true and lasting freedom is forged from your connections to others and from an exchange of ideas that lead to a true metamorphosis! In comparison to the energy of Iyar and Taurus, Sivan and the Astrological sign of Gemini will feel extremely positive. And balance is the proper path. Yet the energy of quickness can lead people to misunderstand and follow the path of negativity that leads away from balance. Please utilize the tool of "Binding by Striking" this month. Try to remember that "Binding by Striking" is the path to our Creator and to absolute Happiness and Pleasure! This is the path to true balance.